From "Lost" and "Homeland" to "Atlanta" and "Desperate Housewives," here's our ranker of the series openers that offered great promise from the very beginning. A few years ago, when then-Fox Entertainment president Kevin Reilly proclaimed the death of pilot season, he was referring to the short, frenzied period of time when every network goes after the same talent in order to produce multiple pilots all at once. Reilly wasn’t criticizing the art of the pilot itself, but just the outdated idea of everyone developing shows all at once. Pilots, after all, can still be a good judge of whether a show can be sustained — and if it has been cast, written and produced properly. On the flip side, pilots can also be a hindrance, as so much time is spent setting up a show’s concept that there’s less time to let it breathe. Pilots can also be a false positive: They’re often more expensive than a regular episode, allowing for greater effects and more big-name guest stars. On the other hand, they may not be representative of the great show they might become, once they get all that exposition out of the way. Either way, the pilot episode isn’t about to disappear. As this year’s crop of network pilots wrap production — and now await the decision in May of if they’ll live or die — IndieWire has ranked the top pilots of the 21st Century so far. These are the opening episodes that either set the stage for greatness, or offered up a great deal of promise that at least gave hope that the rest of the series would be as good. Shonda Rhimes’ political thriller established itself as a very different sort of Shondaland show right from the get-go, thanks to an adrenaline-fueled 45 minutes that not only established the show’s case-of-the-week format but also built up the conspiracies and betrayals that would fuel future seasons. Kerry Washington proved her star power right from the start, owning Olivia Pope’s powerhouse speeches as well as her greatest vulnerabilities, and the quick ensemble surrounding her rose to the occasion as well. All that, plus a few gut-punching twists, made “Sweet Baby” gripping television that set up the iconic ABC ratings hit to come. While “Orange is the New Black” reached its greatest heights later in its run, once it embraced its ensemble cast, there is still something to be said for “I Wasn’t Ready” (apt title) as a set-up for the bold Netflix prison dramedy. Focused around the white girl woes of Piper Chapman (Taylor Schilling) as she encounters the realities of prison life, the first episode of “Orange” did much to set up the show’s episodic flashback structure, while also delivering a few key twists that proved immediately hookable. Part of the joy of watching JD and the rest of the Sacred Heart crew every week was knowing how well “Scrubs” had established and maintained its formula. Between Zach Braff’s voiceover, the rapid-fire insults hurled by John C. McGinley’s Dr. Cox, and the indie rock-backed revelations at the end of each episode, there was a rhythm to how each story unfolded, week by week. All of that is present right at the beginning. As JD, Turk, Elliot, and Carla all make their way through their various origin stories, this episode binds them together in an incredibly efficient way while still leaving them plenty of room to grow together. Even that first taste of the JD/Janitor rivalry feels like a fully formed taste of the magic to come. It could be argued that “Doctor Who,” as a pre-existing franchise, doesn’t belong on this list, but to do so would undercut just how impressive an achievement this relaunch of the classic British franchise happens to be. Writer Russell T. Davies, a longtime fan of the sci-fi favorite, found a way to take the established premise and transform it into a format that would hook modern audiences, using the Doctor’s new companion Rose (Billie Piper) to draw newcomers and old fans alike into the Doctor’s (Christopher Eccleston) dazzling world of possibilities. Separating the origins of the show from what it would eventually become, this pilot still stands out as an impressive achievement because of how many questions it didn’t feel the need to answer. Then-showrunner Frank Darabont helped to create a opening episode built on the horror that comes from waking up in an entirely unfamiliar world. The walkers trapped behind the hospital doors, the empty Atlanta highway, and the grisly unfortunate end of a horse all made for a world that somehow managed to terrify people while getting them hooked on learning more. The rest of Rick Grimes’ crew would follow, but the man who has always been at the center of the show helped filter the “Walking Dead” world through his eyes. It’s bleak, it’s desperate, and it’s still easy to see how it launched one of TV’s biggest-ever sensations. 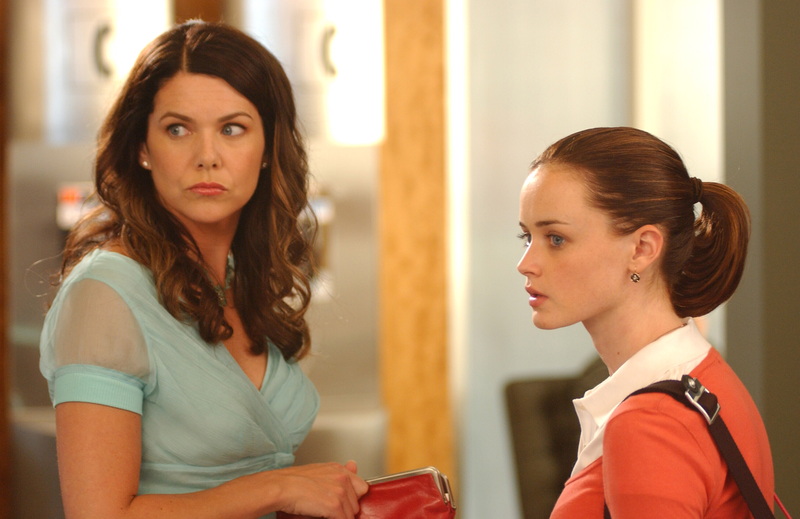 Viewers of The WB never knew what hit them when Lorelei Gilmore (Lauren Graham) blew through the airwaves with a tongue faster and more furious than gale force winds. The caffeine-fueled rants and rhapsodies sprinkled with pop culture references made it clear that this was a formidable and take-charge woman, which made it obvious why she was so successful in raising her overachieving daughter and BFF Rory (Alexis Bledel). The pilot set up a more complex and less warm and fuzzy relationship though with the elder Gilmores, bringing in themes of class, personal responsibility, and independence. The multi-generational interactions became a hallmark of the show and never ceased to make us question our point of view. Beyond those central characters, Amy Sherman-Palladino created a whole town that became a beautiful escape, where no one was too awful (although being annoying was still on the table) and where the la-la-la soundtrack could be felt in our hearts. You have to admire a pilot that’s capable of setting up five different families, each dealing with a different massive family struggle — while also crafting a mystery compelling enough to hook an entire nation. There is a LOT going on in the “Desperate Housewives” pilot, all teed off by the suicide of presumed perfect housewife Mary Alice (Brenda Strong), and that overstuffed feeling would eventually overwhelm the series with twist on top of twist on top of turn. But Marc Cherry’s killer (literally) introduction to the ladies of Wisteria Lane made for addictive viewing from the start, and the show’s legacy in that regard cannot be ignored. It’s hard to come up with an original idea for the family sitcom, one of the most common genres in all of television. 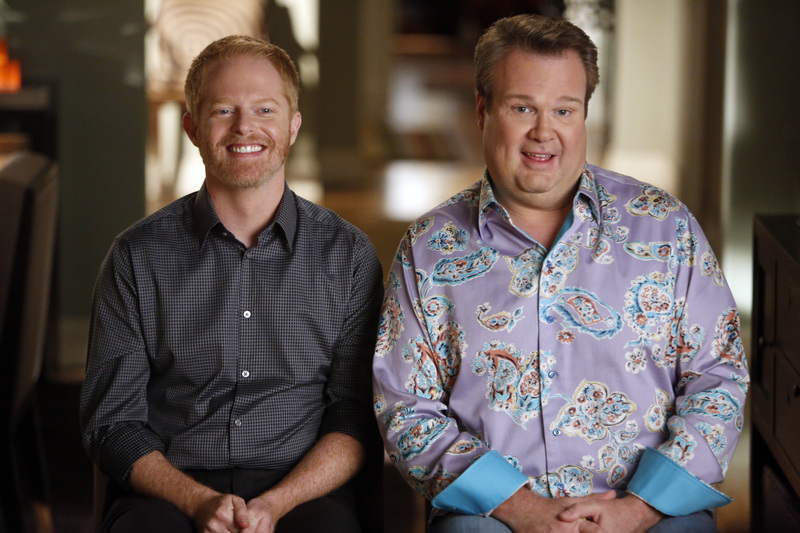 But creators Steven Levitan and Chris Lloyd cracked it with “Modern Family,” which told the stories of three different sets of people: Phil (Ty Burrell) and Claire (Julie Bowen) and their three children; Jay (Ed O’Neill), his new wife Gloria (Sofia Vergara) and Gloria’s son; and Mitchell (Jesse Tyler Ferguson) and Cameron (Eric Stonestreet). Their stories at first appear to be separate, but eventually it’s revealed that they’re all a part of the same extended family, as Mitchell and Cameron introduce the baby girl they have just adopted from Vietnam. “Modern Family” was lauded for its depiction of a blended, diverse family — and for its honest depiction of the ups and downs of modern family relationships in the 21st century. ABC was so high on this pilot that the network played the entire episode to advertisers at its 2009 upfront presentation. Such a move is usually a gamble (NBC did the same thing one year with its “Joey” pilot), but ABC knew it had a hit on its hands — particularly by the end of the episode, when Cameron holds up his new baby to the sounds of “The Lion King.” Director Jason Winer was nominated for an Emmy, while Levitan and Lloyd won the Emmy that year for outstanding comedy writing. It’s easy to take for granted, now that the series has wound its way through three seasons of corporate intrigue, legal misadventures, and a global conspiracy. But all of that wouldn’t have been possible without a controlled, detailed opening gambit. Aside from establishing the impossibly complex filename episode titles, “eps1.0_hellofriend.mov” uploads a batch of information about Elliot, fscociety, E Corp, and the individuals who would come to loom large in this battle between a greedy corporation and a ragtag group of rebellious hackers. As later episodes would show, this pilot is just as important for what it doesn’t show audiences as for what it does. Whether it’s Sam Esmail’s framing of the on-screen images themselves or the selective omission of character details (including the true nature of how Elliot plays into all this), it instantly establishes the idea that nothing in this world is exactly as it seems.